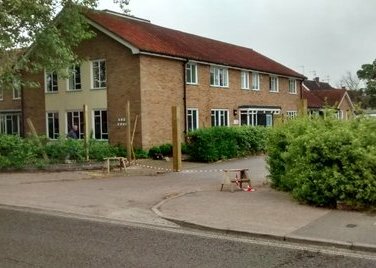 On 30th April I wrote (in this blog) that Babergh District Council had purchased Angel Court and were exercising a black out on news as to why they had purchased the property and what they intended to do with it. I duly lodged a Freedom of Information Request so that the disinfectant of transparency could dispel suspicions that the people of Hadleigh were to receive an unpleasant surprise. Babergh have replied to my request advising that the acquisition is part of a wider joint strategy by both Babergh and Mid Suffolk to invest in our communities by acquiring redundant public sites and bring them back into use for housing. Proposals for a housing scheme are being drawn up and these will be subject to a public consultation through the usual planning processes. So there we are. A positive bright idea from local government. I am happy and rejoice at the Council’s intentions. Which of course brings us to the earlier question – if it was good news why the secrecy? Were they up to something and then changed their mind? Are they keeping their options open and may change their minds later? Or is it our old friend – business as usual?